For your pets protection, all routine vaccinations must be current. We request you provide verification of vaccinations, from your Veterinarian. 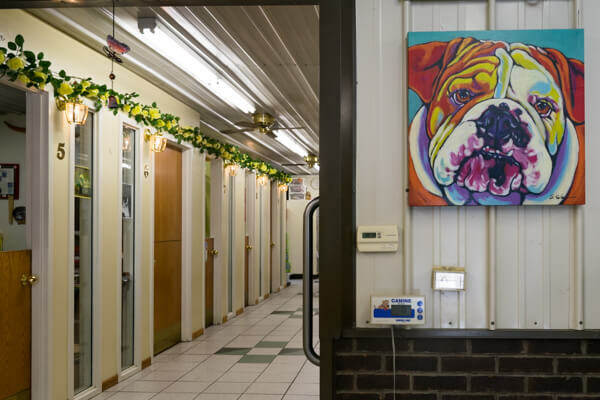 Our dog lodging area is an all-indoor facility. Your dog is given individual attention each morning/noon/night when they are taken out for their potty breaks & those extra rubs on the head and kind words that help your dog feel more at home. We have three overnight accommodation buildings, The Club House, the West Wing and our Executive Suites. 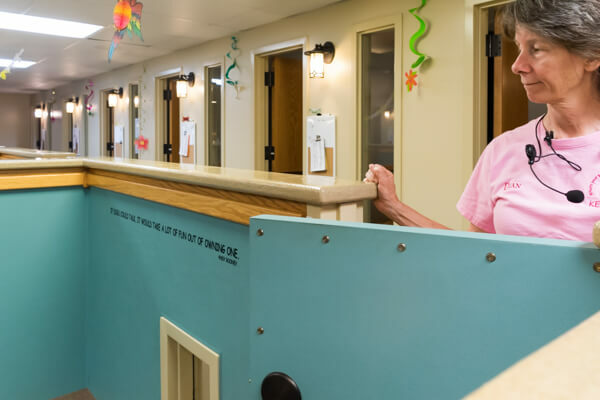 Our Kitty Condos are complete with cat nappers, pillows, blankets, and shelves to climb and snooze on, all designed with the comfort and safety of your cat in mind. The solarium room is well ventilated with central heat and air conditioning and of course, large windows overlooking the countryside. 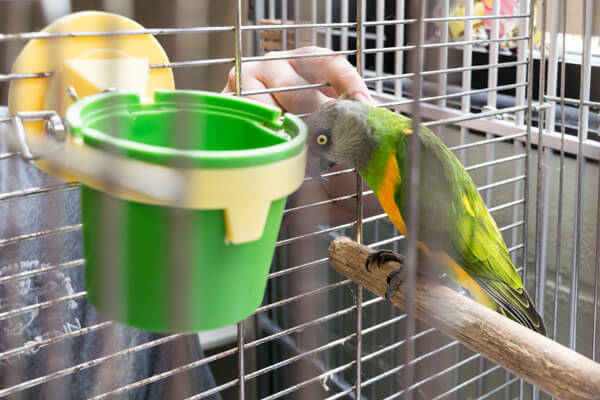 In addition to lodging cats and dogs, we normally have a few birds, rodents or reptiles staying with us. If they are a part of your family they can be a part of ours! Executive dog suites are for the dog(s) who want a room to feel more like home. The Executive suites are spacious, private suites with oak trim, brass fixtures, marble tile floor, Dutch door, full-length window, raised bed, and comforter. 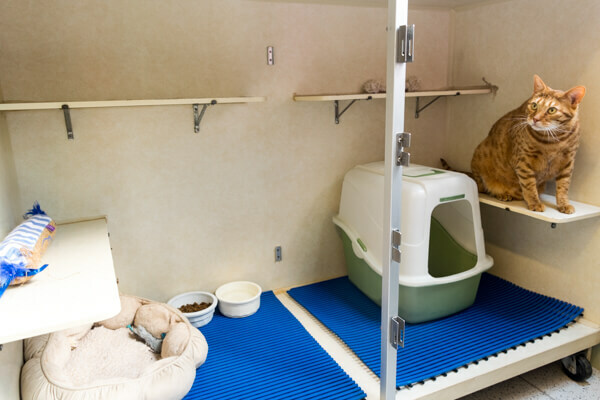 General lodging rooms are roomy, private quarters designed for the safety and well being of your pet. Central air/heat is provided for year-round comfort. 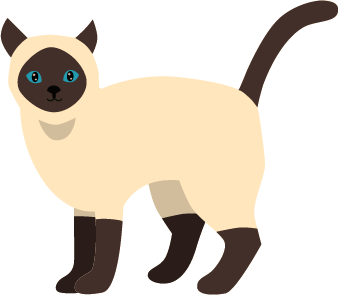 Our cattery is well ventilated with central heat & air conditioning and an open solarium with a countryside view, all designed with the comfort and safety of your cat in mind. Personal Condos include cat nappers and/or resting shelf with fresh bedding daily. Duplexes are twice the size of a personal Condo and include a cat napper and/or two resting shelves with fresh bedding daily. 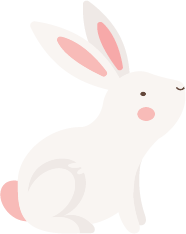 We offer general lodging for rabbits, birds, and other small animals, just bring your own enclosure. 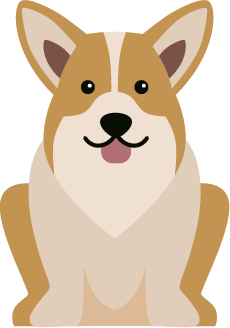 Whatever your pet, we’ll take care of it for you! We offer a shuttle to and from your home (or other Lincoln area location) to our location. Prior arrangements must be made for this service by calling 402-488-8190. Please call for more information. Your pet is welcome to bring a favorite toy, blanket, etc. when they stay with us, just please no glass containers. We will supply a comfortable Kenl Kot and the suites also include a blanket. Please bring your pet’s normal food in pre-packaged (per meal) individual baggies. We realize that some pets have special needs regarding food. If you have any questions about the best way to package your pet’s meals, please give us a call. For those who choose not to do this, there is a $20 charge for us to prepare and package your pet’s food when you arrive. ​See Day Care page for day care rates. 1 Dosage: $5.00 minimum (assessed on individual basis). Sub-Q Fluids, Eye Meds, Bandage Changes, etc.